More than half of all American adults (68%) own smartphones. And do you know what the most popular smartphone feature is? Texting. A staggering 97% of smartphone owners use their phone to text versus 75% who check social networks and 47% who play games. Many businesses have experienced commercial success by employing SMS in their marketing plan. That’s because text messaging is a popular and powerful tool for businesses to reach out to their clients. 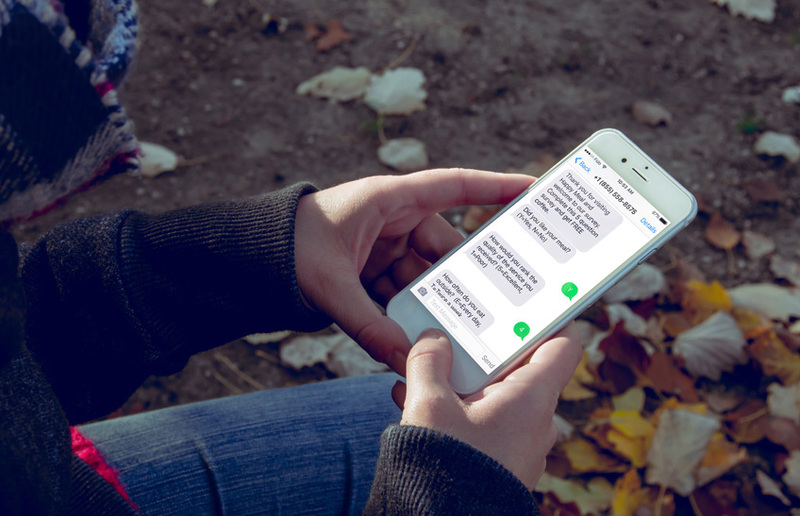 From promotional messages to appointment reminders and polls, there are many ways to get your customers to engage with your brand through text. Two basic principles are important to keep in mind when offering promotions via SMS. The first is timing. Text messages are received immediately. Capitalizing on this can help you reap higher ROI. For example, if you sell pizzas, it’s probably better to send out a promotional push in the evening right when people are starting to think about dinner. The other principle is segmenting. You can boost engagement by breaking down your customer base and grouping them according to purchases, behavior, geography and other demographics.. Specialty retailer Cabela doubled their retail average and tripled their demand goal with a segmentation program. People love free stuff. Engage your users by offering sweepstakes and contests. Centennial College recently offered prospective students a chance to win a free iPod touch with an opt-in in to their SMS program. The university ended up seeing 700 opt-ins from one recruitment fair! Contests are a great way to grow your opt-in list and grab the attention of your existing clients for a promotional push. It’s wide-reaching. Customers can be on the go, away from a computer or wifi, and still be able to send and receive text messages. It’s convenient. Customers can send a quick message to ask for assistance without having to be on hold on the phone. It allows them to carry on with their day without having to stop everything to deal with their issue. It gives customers a record. Texting leaves a written record of all exchanges with a brand. Customers can easily pull up the information and refer to it at a later date. Tips and advice are best when they use customer information to make the advice immediately useful to them. Also, make sure the information is relevant to the customer you’re speaking to. Dentists: Send a patient who just got a root canal content on how to care for their tooth during the healing process. Airline companies: Send a traveler the current weather and exchange rate for the destination they’re traveling to today. Hair salon: Send tips on how to maintain hair color to a client who just got a cut and color. Notice that each of these tips has immediate value to the client. Have you ever missed an appointment? Who hasn’t? Even the most organized person can slip up from time to time. Missed appointments are a hassle for both clients and the businesses they keep waiting. For the businesses, it’s a lost hour, usually with high-paid staff waiting around for nothing. For clients, they now have to go to the trouble of re-scheduling. Appointment reminders are an easy way to make sure clients show up and can help business run more smoothly. If you’re Sarah, you’d be more inclined to respond to the second message. The major difference is that the second one is personalized. Sarah gets a weekly sports massage so the promotion is both personalized (uses her name) and targeted (uses her purchase history and preferences to aim the promotion). Targeting and personalization work well on both ends. First, it prevents businesses from spending money on “blanket” promotions that only hit the mark with some of the customers. And second, it increases customer loyalty and retention by offering rewards that are valuable to them. In fact, 73% of customers want to engage with businesses that use their personal information to provide more relevant shopping experiences for them. How about sending an SMS poll to find out what your customers think of a new menu item you plan to introduce in your restaurant? Or asking them how their last shopping experience was? SMS polling is a great way to engage customers and get to know what they’re thinking. The convenience of text messaging allows customers to respond anytime, anywhere. That’s why text messages result in higher response rates than any other communication platform. It also lets customers know that you value their opinion and that your business is there to serve them.